Please send us a message on our Facebook Page with your Facebook ID and we will tell you exactly what happened. Flash games can’t be played on mobile devices. How can I buy Magic Potions for Solitaire Castle? It is very simple to buy Magic Potions for Solitaire Castle. In the upper left corner, where your current amount of Magic Potions is displayed, simply click on the “+”sign and you can see all offers. Select the one that suits you the best and then follow the instructions. In this case, you need to contact Trial Pay to report it because they are the ones responsible for handling the offers. Please contact their Support service (you can find the link by opening again Earn Magic Potions). Also, please consider it can take 24 to 48 hours until your credits are credited. More than 2 million monthly players. Every Solitaire has 3 stars/ goals to achieve. For example: solve 100% of a Solitaire, solve all cards in a given time, solve a certain number of cards in a row, or reach a certain amount of points. HINT! In order to get the stars, you have to clear the Solitaire in that game, too. Hence, if you already achieved the goals in a game, make sure to finish off all cards! What are the Magic Potions? Magic Potions are, you guessed it, magic! They can help you with most everything, e.g. extra cards, special power-ups, or coins. 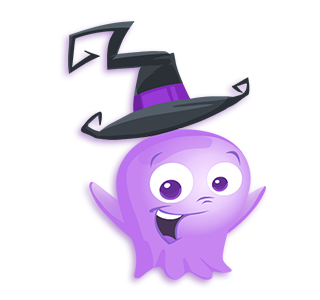 They will help you to solve the Solitaires and rescue Sparky. How to get them? Simple: check the Earn Magic Potions tab, there are a lot of free offers, that you can complete and earn Magic Potions. Or, get them directly. So many cool gifts you can send to your friends and receive in return. The “5% Bonus” helps you achieve higher scores; the “Magic Card” solves all open cards, the “Joker” can be put on any card at any time, with “Coins” you can buy power ups and extra cards, the “Undo” will cancel your last move and every “Life” allows you to play once more. HINT! Press SPACE on your keyboard to reveal the next card. Now it’s faster and easier to win. The premium power ups cost you coin, but they give you special … powers. 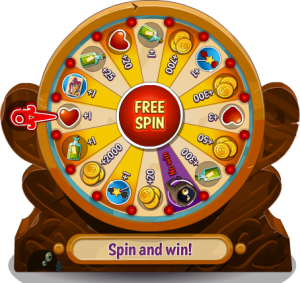 Every 18 hours, Solitaire Castle gives you the chance to win great rewards: coins, lives and magic potions. So make sure to log in every day, to enjoy the game with extra prizes. You are on a roll and you don’t have enough hearts? There are a few ways to get more. You can watch a video and receive one more live. Or ask your friends to send you some and play over and over again. Don’t forget to send some in return, so they can enjoy the game too. OR, buy one more set of 5 lives and continue playing the best Solitaire.